Are you doing the most effective core exercise for you? Many people are after that ever-elusive six-pack when working on their abs, and for decades that meant doing the traditional sit-up– as often and as many as you could. While this exercise has been a standard, it is starting to shift away from being the main go-to movement for abdominals and for a number of reasons. When you are performing a sit-up, you are only activating the rectus abdominus, which are the visible muscles in a six pack. In reality, the core is made up of more muscles than just that, and some of these muscles are actually more important—for stability and for all that your core is called upon to do. In your abdominal area, there are also internal and external obliques, transverse abdominus and the erector spinae; these, along with the rectus abdominus, make up your core musculature. If you focus all your ab training on just that one muscle group (rectus abdominus), you will lack the control and stabilization necessary when training other muscle groups, as well as when performing your daily activities. The core provides your body’s center, and every motion that you do– whether training or otherwise– requires that center and base to be stable and support the action that your body is performing. In order to make sure you are prepared for and getting the most out of your training, you must train all of the muscles of the core. Another reason why the sit-up is becoming less popular among fitness professionals is because of the potential risk of injury involved. When performing a sit-up, you are compressing the vertebrae and disks of the spine, especially in the lower back, with repetitive loading over the course of the workout, and even more so if any weight is being added to the exercise. For many people who already experience lower back pain— whether that pain is from a previous injury, a tight glute or hamstring muscle, or a weak core– the sit-up will only exacerbate the problem. Enter the emergence of the Plank. Planks have become the number one core exercise and are popular among trainers, physical therapists and gym-goers alike. You will see them in some form or another in most workouts. The plank is an isometric exercise that activates the total core musculature and can even be felt in the arms, shoulders and lower body to some extent. If a plank is performed with correct form, then there is no strain or compression on the spine, and a trainer will be able to progress or regress the exercise to fit the client’s needs. This does not mean that planks are the only exercise out there that will work your core effectively, but it’s the most well-known amongst the general population, and it can be performed on your own without risk of injury. The core is just like any other area of your body in regard to training; you need to activate all the muscles and work in all planes of motion to get you to your strongest and best self. Amanda has been a personal trainer at Horizon for nearly three years. After graduating from UCONN and earning a Bachelor’s degree in Allied Health Science, she spent three years working in a physical therapy clinic, helping patients of all ages and levels of rehabilitation– from orthopedic surgeries to injuries—as well as overseeing her own patients in an aftercare program designed to get athletes and active adults back to their pre-injury levels. Working with these patients propelled Amanda to go back to school to earn her Master’s Degree in Performance Enhancement and Injury Prevention, as well as her Personal Training Certification through the National Academy of Sports Medicine (NASM). In addition, she is a certified Performance Enhancement Specialist through NASM and a certified Speed Specialist through the National Association of Speed and Explosion. 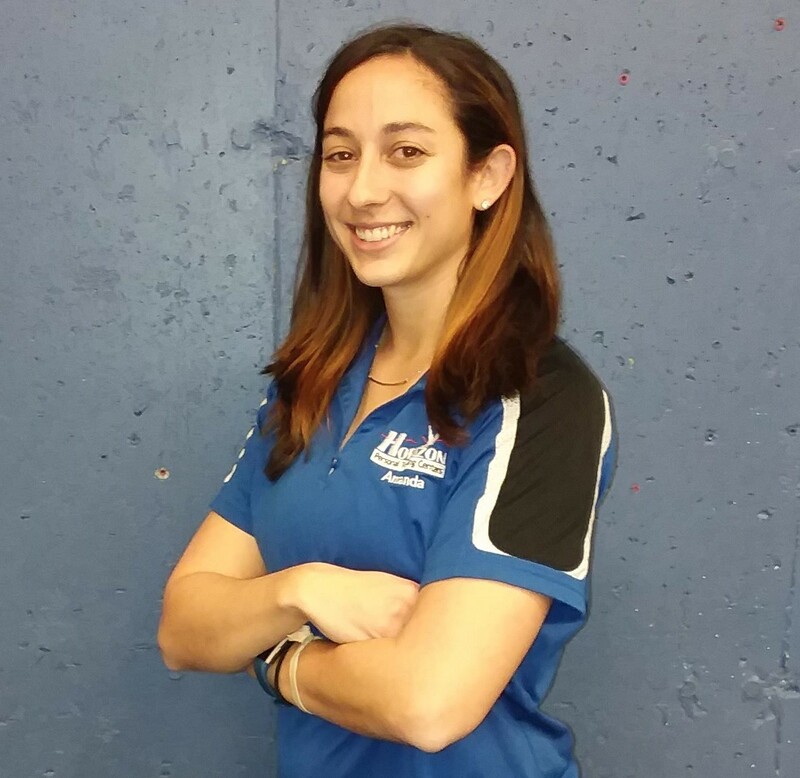 Along with personal training, Amanda is a youth premier and high school Assistant Soccer Coach, after having played up to the Division One collegiate level at UCONN. No Comments to "Your Best Abs"